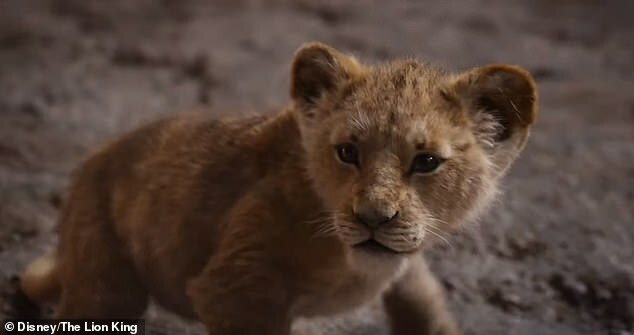 The haunting new trailer for the live action version of The Lion King has dropped. Fans of the 1994 Disney classic were treated to a dramatic 1-minute 50-second look at the film, due to be released on July 19. Recreated in spectacular CGI, Simba (Donald Glover) is seen being confronted by hyenas Kamari, (Keegan-Michael Key) Shenzi (Florence Kasumba) and Azizi (Eric Andre) as villainous uncle Scar (Chiwetel Ejiofor) enters the elephant graveyard. The frightening first glimpse of the evil and an exiled lion is then shown as he confronts Simba and Nala, who cower in the darkness. He is flanked by his evil hyena comrades, who approach the cubs with menace. Simba's father and Lion King Mufasa is then seen standing on Pride Rock as the father-son duo survey their kingdom. The voice of James Earl Jones, reprising his role from the first film says: 'Everything you see exists in a delicate balance' as a bewitched Simba stares with awe at an insect. 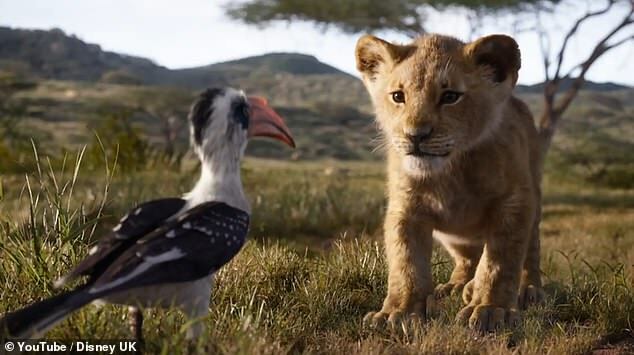 The young lion is also seen meeting hornbill bird Zazu (John Oliver) who flies down to meet the latest addition to the pride. He continues: 'While others search for what they can take' as Scar is seen hatching plans with his evil companions. As Mufasa takes his son under his wing and shows him their kingdom, the voiceover continues: 'A true king searches for what he can give'. Leading up to Mufasa's death, Simba is seen escaping a stampede of buffalos, as Scar makes his way to the cliff before murdering his brother. 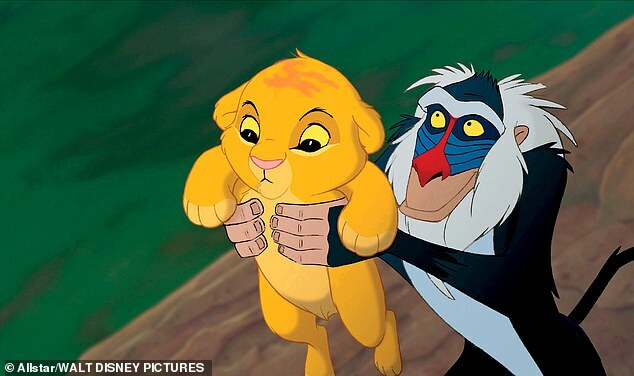 The malevolent uncle then banishes his young nephew following his father's death, after manipulating him into thinking it was his fault, shouting: 'Runaway Simba! And never return' as the frightened child gasps. 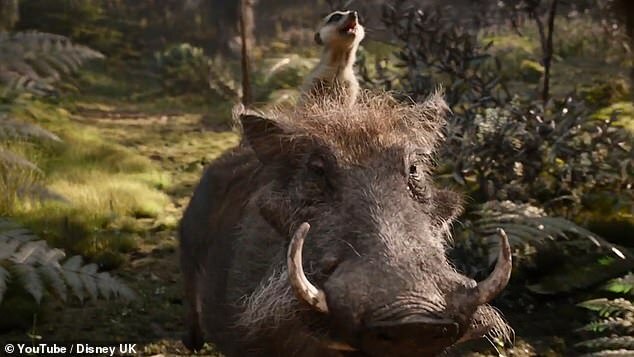 The trailer also features the first look at popular characters from the 1994 film including Simba's companions' meerkat Timon (Billy Eichner) and warthog Pumbaa (Seth Rogen). 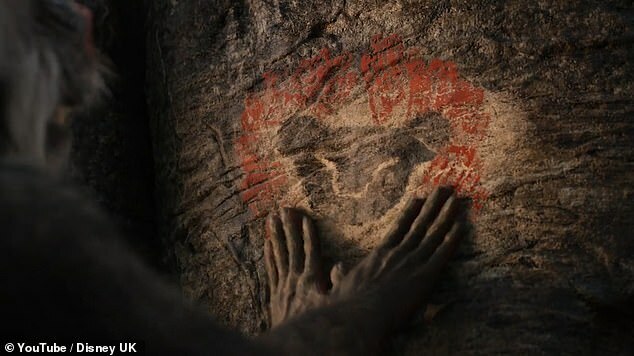 In one of the final scenes recreated in the new film, Simba, Timon and Pumbaa are seen singing Hakuna Matata as they walk along a fallen tree, in homage to the 1994 film. Simba is seen growing into a handsome young lion with his companions, as he bonds with childhood friend Nala (Beyonce) once more. 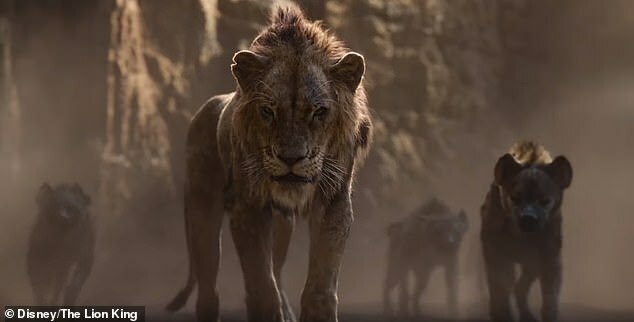 The trailer ends with Simba returning to a gloomy Pride Rock as he roars before the battle to regain control of his kingdom, begins. 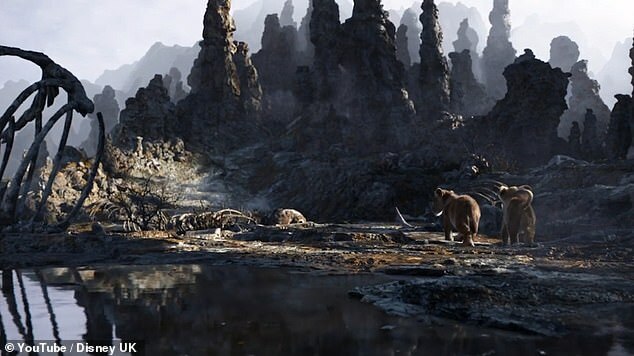 This live-action version of The Lion King comes from director Jon Favreau, using the same kind of motion-capture technology he used to bring the animals in his 2016 adaptation of The Jungle Book to life. While this adaptation does boast an impressive new cast, James Earl Jones returns to voice his same role from the 1994 animated classic, King Mufasa. 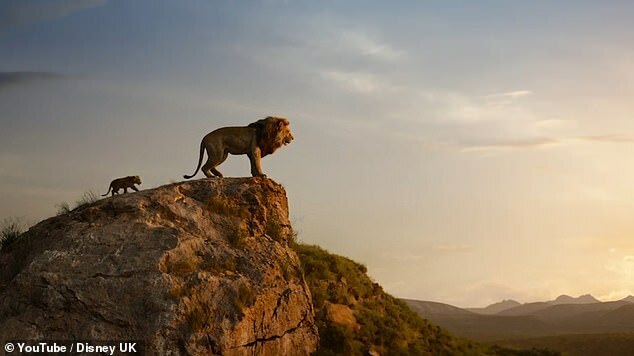 Disney has set a July 19, 2019 release date for The Lion King, which is currently the only movie slated for release on that date. The Lion King is one of 10 movies Disney has slated for release in 2019, which could be the studio's biggest year to date. Other Disney movies opening next year include Dumbo (March 29), Avengers 4 (May 3, 2019), Toy Story 4 (June 21, 2019) and Star Wars 9 (December 20, 2019).